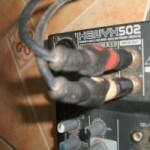 Tags: Audacity tutorials, Recording newbie guide. Supposing you are assigned by your teacher to sing a particular piece of song. You search for minus one and then found out it is available in Youtube. Since you will be practicing your minus-one on a daily basis, you plan to create a personal audio copy of the minus-one ideally in MP3 file format so that you can practice anywhere even without an Internet connection. This tutorial will illustrate how you can use your netbook (ASUS EeePC netbook for example in Windows 7 Starter Service Pack 1) to record minus-one music from Youtube. The end result will be a mp3 file of the minus-one music. Disclaimer: Bear in mind that in this illustration, you should not share copyrighted music to other persons or distribute the music anywhere, on the web or any file sharing mechanisms. Doing so will be illegal and against the copyright law. Remember that the aim of this tutorial is for personal and educational use only. 1.) Make sure you are connected to the Internet first. 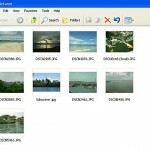 Download free copy of Audacity. 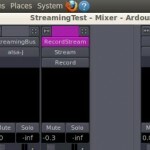 This is an open source recording software that will run in Windows 7. 2.) Install Audacity to your Windows 7 Netbook. 3.) Go to the Youtube URL of the minus one. 4.) Stream it until it will be completed. Do not close this tab in the browser so that you won’t need to reload it again. 5.) 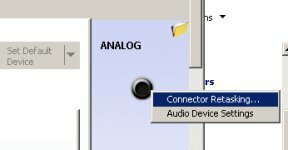 Go to Start – Control Panel – Realtek HD Audio Manager. 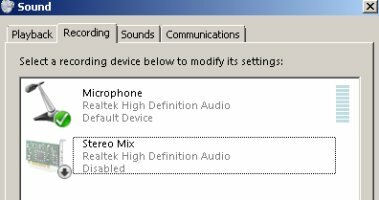 OK you have observed that only microphone is enabled and “stereo mix” has been disabled. 8.) 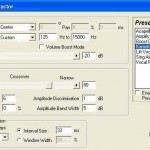 Right click on “Microphone” in “Sound” and click “Disable”. 9.) Now right click on “Stereo Mix” and click “Enable”. a.) Go to “Listen” tab. Make sure “Listen to this device” is unchecked. b.) Click “Levels”. Make sure there are enough volumes set for stereo mix and it is set to 50 to 60.
c.) Click “Enhancements” and make sure “Disable all sound effects” is checked. d.1) Allow applications to take exclusive control of this device. d.2) Give exclusive mode applications priority.